Iannis Xenakis (Braila 1922 – Paris, 2001) is among the most important figures of twentieth-century music; was born in Romania to Greek parents and with them at age 10 he returned to Greece where he remained until the second half of the forties. Xenakis took an active part in the events of World War II, giving a concrete contribution to the Greek resistance along with the National Liberation Front. During a military action was wounded in the face, and as a former fighter was forced to flee from Greece. In an attempt to reach the United States took refuge in France, where he lived until his death. Once in France he moved to Paris, where he made important collaborations that would have imposed his name even in the manuals of history of architecture. 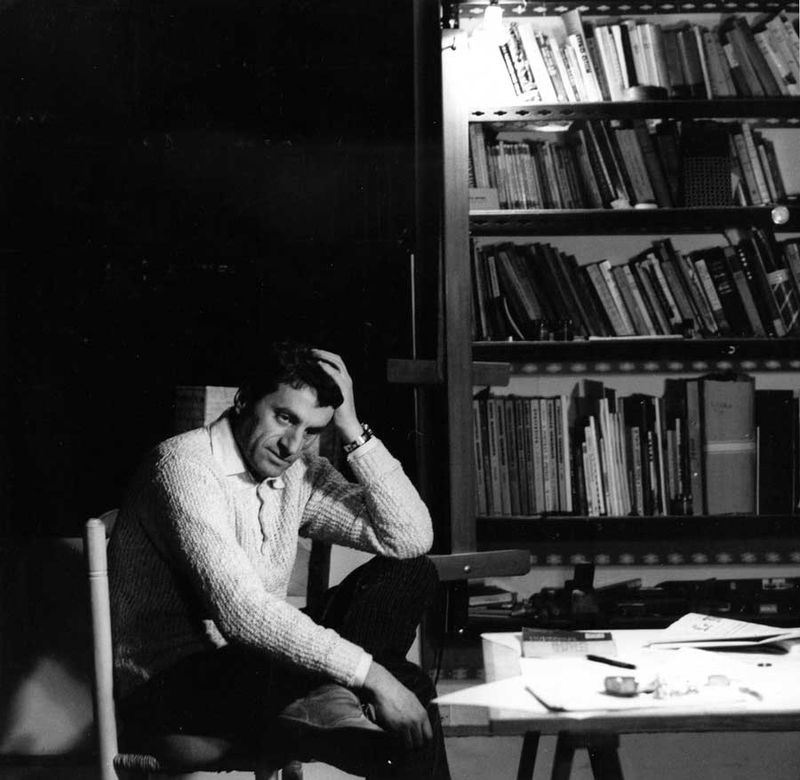 In fact, Xenakis had graduated in engineering and in Paris since 1949, he began to collaborate with the architectural studio of Le Corbusier. 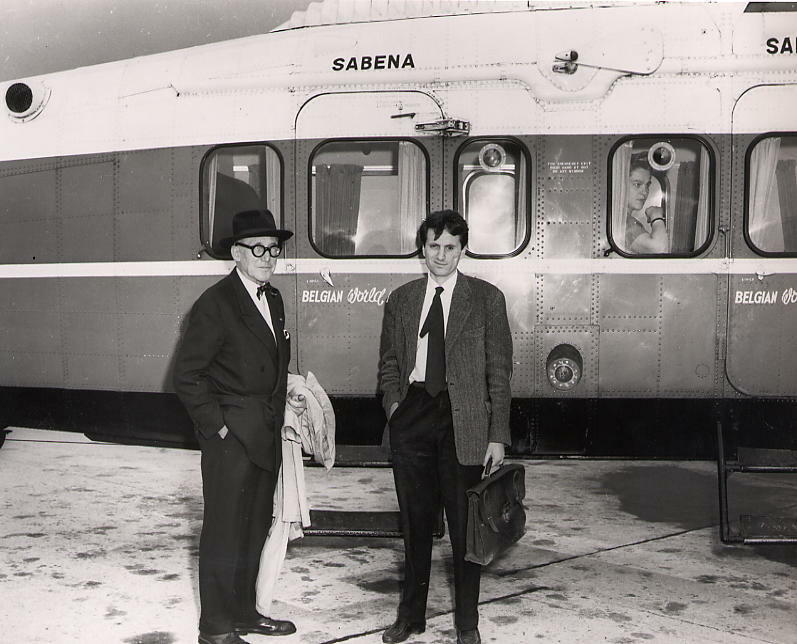 A picture of Le Corbusier and Xenakis, 1955 ca. 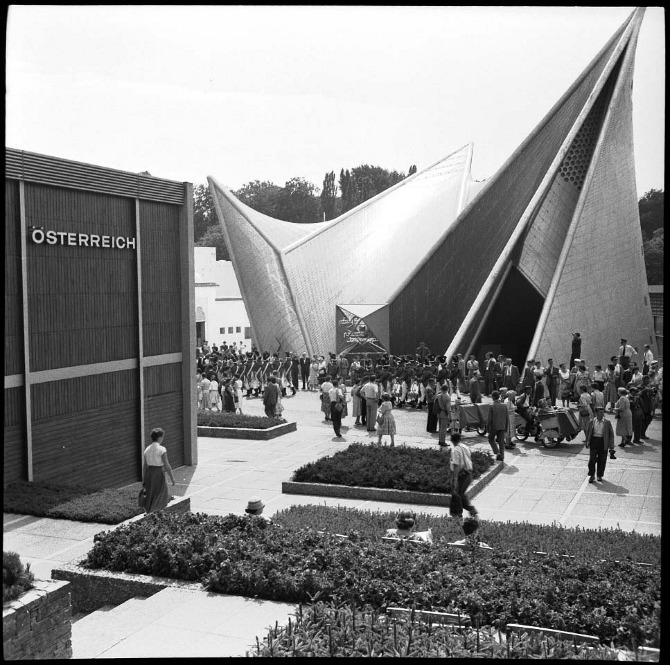 Along with Le Corbusier carried out important work of collaboration, of all the Philips Pavilion for the Universal Exhibition in Brussels in 1958. 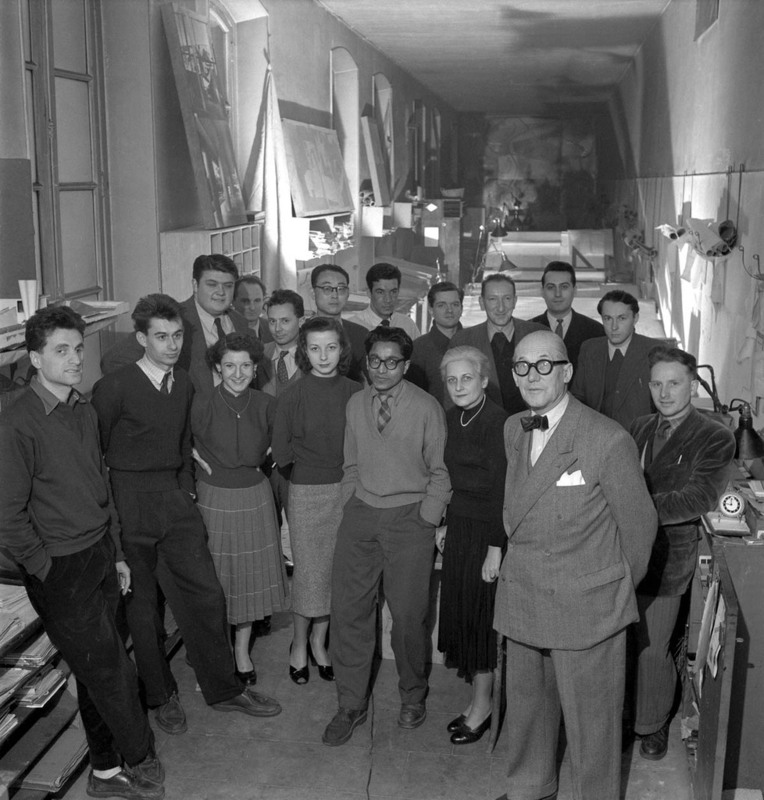 A beautiful picture of Le Corbusier in his studio in Paris together with his collaborators. The first from the left is Iannis Xenakis. Paris, 1953. Xenakis had shown, since adolescence, a great interest in music, and so it was almost a foregone conclusion for him to try to combine the two passions, music and architecture. This explains why his architectural works were often designed for the purpose of music, such as the design of an auditorium and a studio for private music center of Hermann Scherchen in Gravesano, Switzerland. 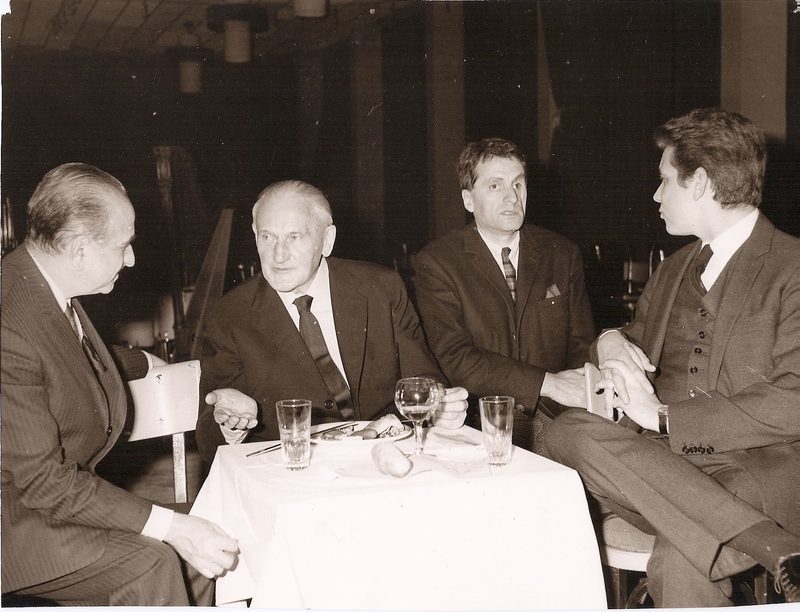 This picture taken on the occasion of the Royan Festival depicts, from left to right, the conductor Charles Bruck, Hermann Scherchen, Iannis Xenakis and publisher Mario Bois. 1955, ca. Or, several years later, we remember the project for the Cité de la Musique in Paris, which should have been made in 1984. 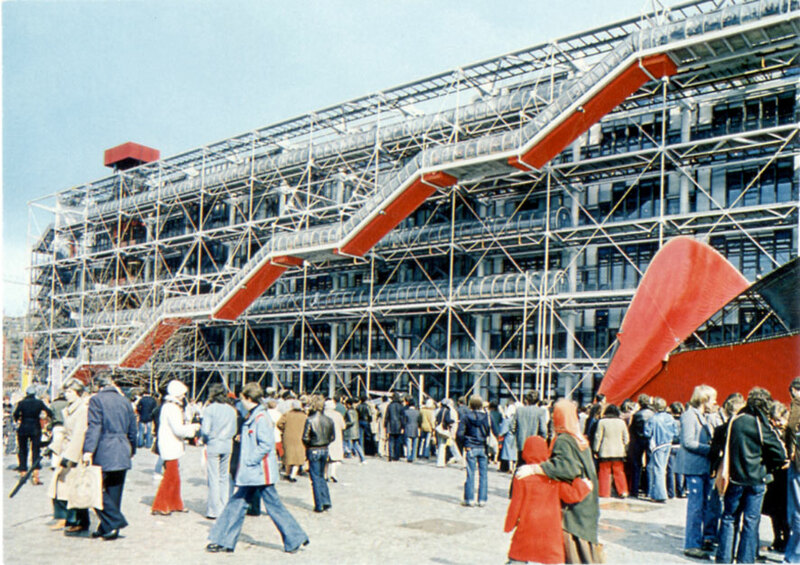 But of all the projects designed by the greek engineer , in truth only one of them was actually achieved, at least temporarily: the Diatope, a structure built on the occasion of the inauguration of the Centre Pompidou in Paris in 1977. 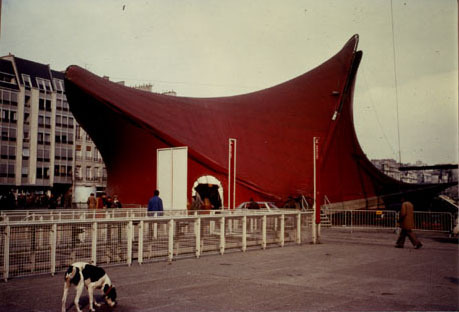 A vintage photo that depicts the structure of the Diatope installed on the square directly opposite to the Georges Pompidou National Center of Art and Culture. Paris, 1977. In the same year was inaugurated at the Centre Pompidou, also the IRCAM, the center of musical research strongly backed by the French composer Pierre Boulez. A picture from the top of the square and the Centre Pompidou. On the right, partially in shadow, we observe the Diatope of Xenakis. Paris, 1977. 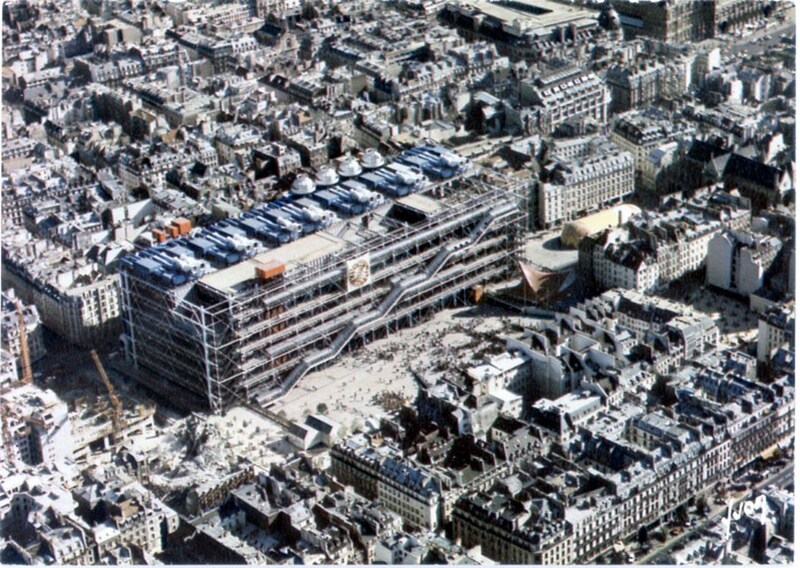 The creation of the Centre Pompidou was entrusted to a young Italian architect, Renzo Piano, whose design was chosen among more than 681 submitted. Another beautiful Vintage picture of the Centre Pompidou. On the right the structure designed by Iannis Xenakis. Paris, 1977. 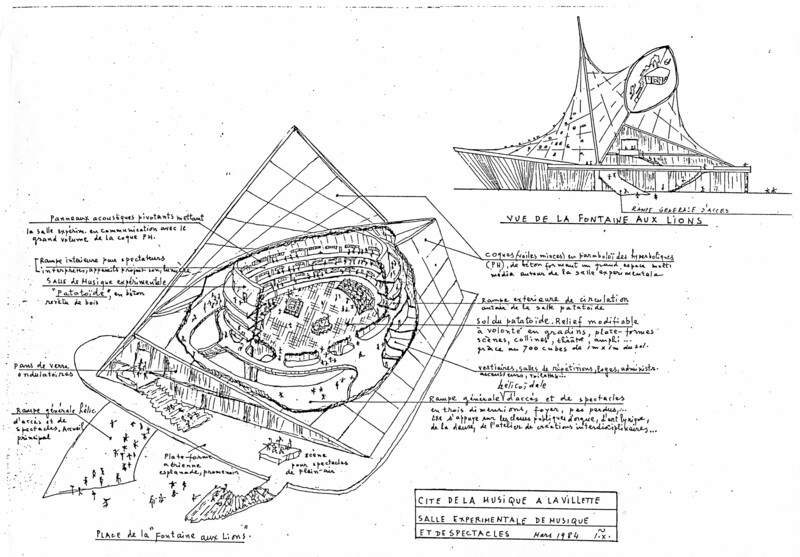 But Paris, for Xenakis, is not just architecture. In the French capital it will also resume his musical studies, attending private lessons with Arthur Honegger and Darius Milhaud, and then attend the course of analysis that Olivier Messiaen presided in those years at the Paris Conservatoire. 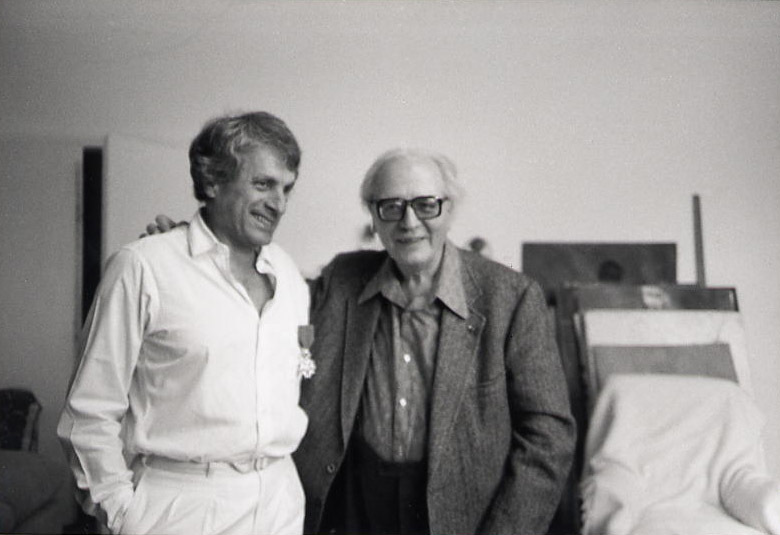 Iannis Xenakis and Olivier Messiaen together in the apartment in the Rue Chaptal, owned by the greek composer. Paris, about 1977. With its international breadth, Paris also favored the meetings of Xenakis with the news that interested in those years, the landscape of contemporary music. In this sense, they were also very important its holdings at the meetings on the new music organized by Hermann Scherchen in his own house in Gravesano, Switzerland. 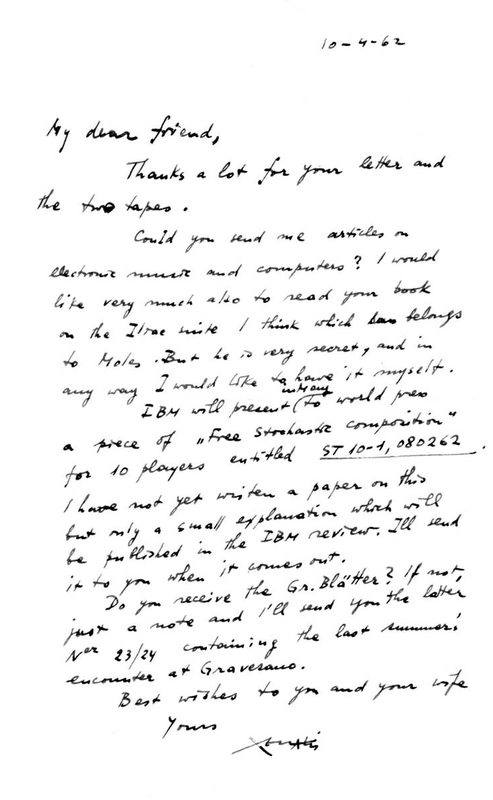 Here, Xenakis came into contact with some of the most important composers of the time, but also knew people like Max Mathews and Lejaren Hiller, both pioneers of computer music in the United States: the first for his works around the Music N family of programming languages for sound synthesis, the latter for the composition of the Illiac Suite. The meetings of Gravesano, which Xenakis attended from 1955 to 1966, were obviously very important to the curiosity of the composer towards the use of electronic technologies, digital and analog, as important were the american computer music pioneers met in Switzerland. In 1956 he started working on some of the works belonging to the category of computer-assisted music composition, in which the score performed by traditional instrumental ensembles, is achieved by programming a computer; a methodology that Lejaren Hiller had adopted for his Illiac Suite in 1956. 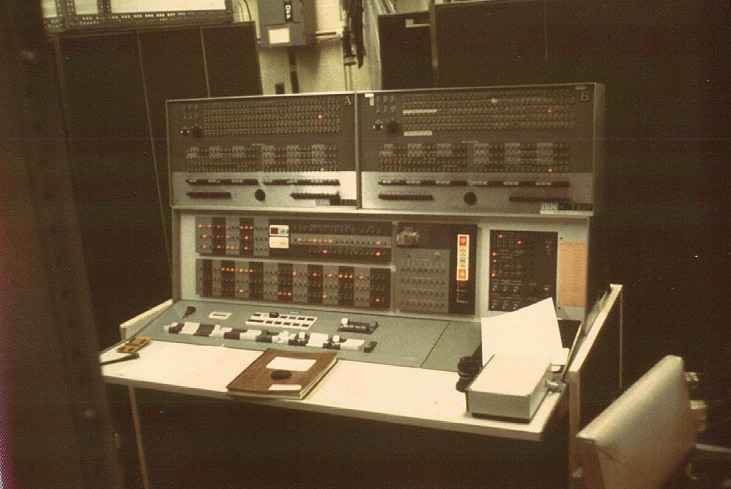 A computer IBM 7090 series, in a photograph from about 1960. In this way, formalizing certain stochastic procedures as programming code for an IBM 7090 computer, in the early sixties Xenakis completes a series of works started in 1956 about: ST/48-1,240162 (1956/62) for an orchestra of 48 instruments, ST/10-1,080262 (1956/62) for string quartet, Morsima/Amorsima (1956/62), also know as ST/4-1,030762 and Atrées (1956/62) also know as ST/10-3,060962. 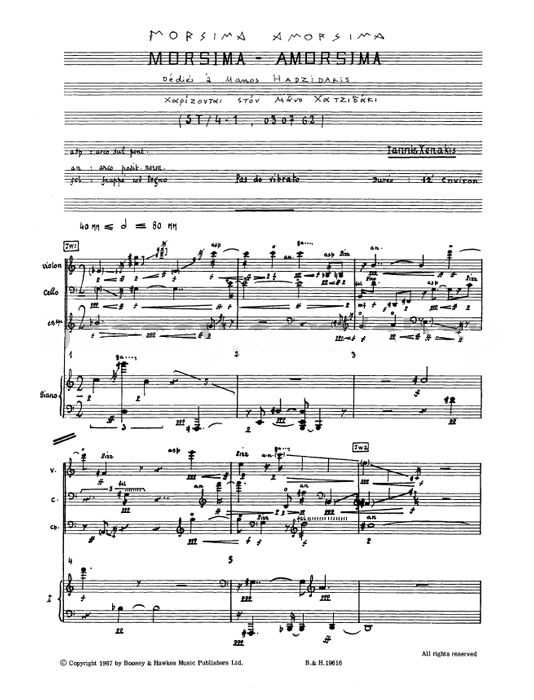 The first page of the score of Morsima-Amorsima, edition of 1967. In 1957, another milestone in the electronic course of Xenakis: the collaboration with the Groupe de Recherches Musicales founded by Pierre Schaeffer, where the composer of Greek origin made ​​his first works of electronic music, attending the center of Paris until 1962 or so. 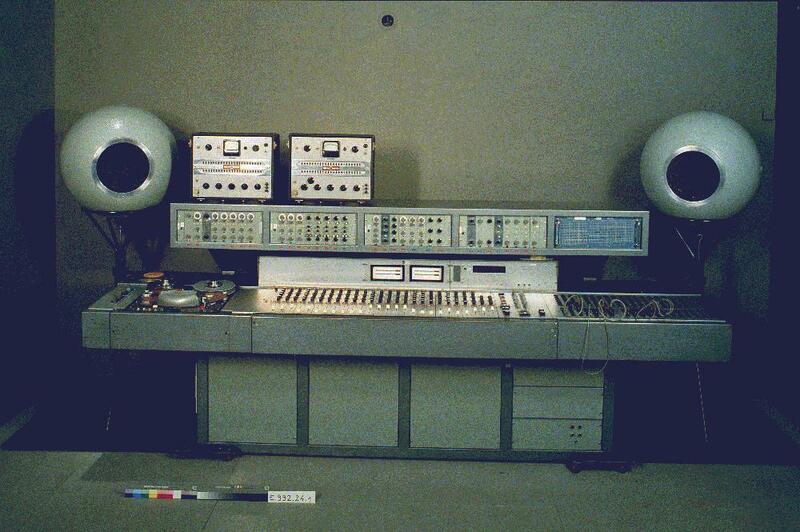 A picture of the GRM in Paris that shows us the mixing desk and the Coupigny synthesizer. Paris, about 1972. In 1958, however, Xenakis realized Concrete PH, a work for tape conceived for the Philips Pavilion, a project of total art created for the Universal Exposition in Brussels, organized in the same year of the work of Xenakis. The architectural part was made by Xenakis on a draft of Le Corbusier, while the media provided the electronic music of Edgard Varèse, who composed the Poème électronique. The latter had been composed to be transmitted in the inner rooms, while Xenakis’ Concrete PH was designed to accommodate visitors to the pavilion. A color picture, or colored, of the Philips Pavilion at the Universal Exhibition in Brussels in 1958. 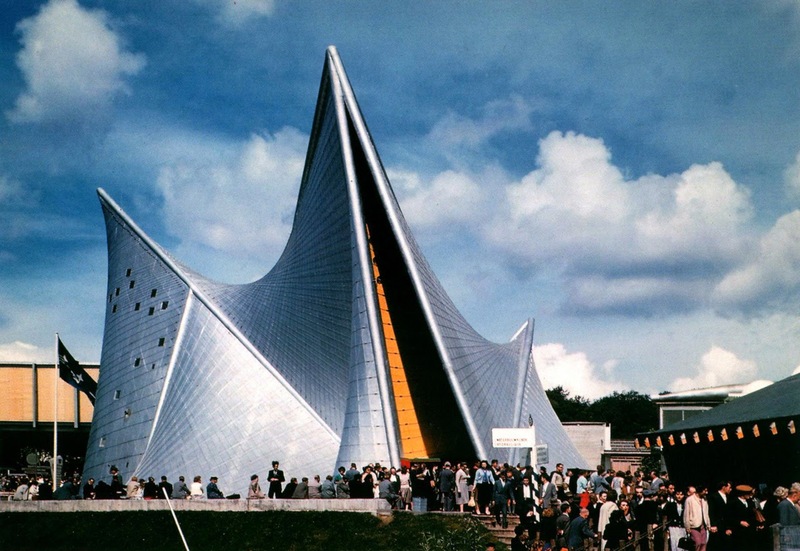 Another beautiful picture of the Philips Pavilion, by Le Corbusier and Xenakis. As if to seal the first experimental phase in the context of computer music, Xenakis in 1963 collects theories and methodological reflections in a historic publication entitled Musiques Formelles (click to download), a book of over 200 pages published as a special issue of La Revue Musicale, where the fourth chapter focuses specifically on the application of stochastic processes via the computer, and where Xenakis focuses on the analysis of ST/10-1. The cover of the book Musiques formelles, in the first edition published as a special issue of La Revue Musicale. In 1966 Xenakis founded the EMAMu (Equipe de Mathématique et Automatique Musicales), an informal group that was supposed to carry out research in the field of musical composition with the computer. In 1972 Xenakis give a institutional concreteness to this group, founding the CEMAMu (Centre d’Etudes de Mathématique et Automatique Musicales), a collaboration of academics from various disciplines, such as physics, aesthetics, electronics, mathematics and philosophy. 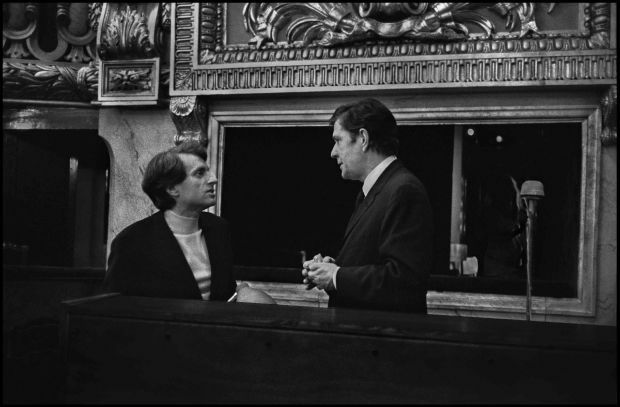 Iannis Xenakis and John Cage in conversation. The two composers shared the interest in technology in the field of music. Cage also had a brief but important experience of using the computer, along with Lejaren Hiller performance HPSCHD. But before we get to the foundation of CEMAMu we must remember that during the time that goes from 1967 to 1972, Xenakis was in the United States, in Bloomington, where the Indiana University invited him as an associate professor with the promise, torn by Xenakis, who the University would have taken charge of the establishment of a center for musical research oriented in the digital sense, called the Center for Mathematical and Automated Music. This center was active only in the early seventies, then closed due to the budget cut due to the continuation of the war in Vietnam by the United States. The CEMAMu, in a way, picked up the legacy of the American experience, reaching a milestone in 1975 with the design of the UPIC (Unité Polyagogique Informatique du CEMAMu), a computer system that allowed you to compose music and synthesize sounds through a graphic approach, realizing those pedagogical goals that according with Xenakis both the UPIC and the CEMAMu had to pursue. However, the UPIC, which also allowed the synthesis of sounds, was not only an educational tool and numerous works composed by Xenakis with this instrument testify to his versatility and potential. The first work composed with the UPIC system was Mycenae-Alpha (1978). 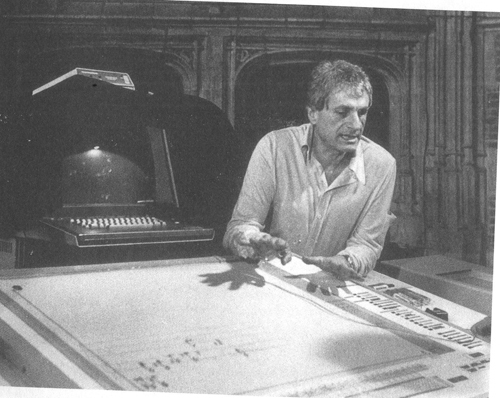 Iannis Xenakis engaged in a demonstration of the UPIC system. Under the hands of the composer you notice digital board, interfaced with the computer behind him. In 1985, within the CEMAMu, open the association Les Ateliers UPIC, which was supposed to take care of promoting the use of the UPIC system, through the organization of workshops and encouraging the composition of new works by that particular instrument. Over the years, Les Atelier UPIC and the system became a reality so important to collect all the inheritance of CEMAMu, before it joins the final (to date, 2014) Centre de Création Musicale Iannis Xenakis (CCMIX), established in 2000, about a year before his death. 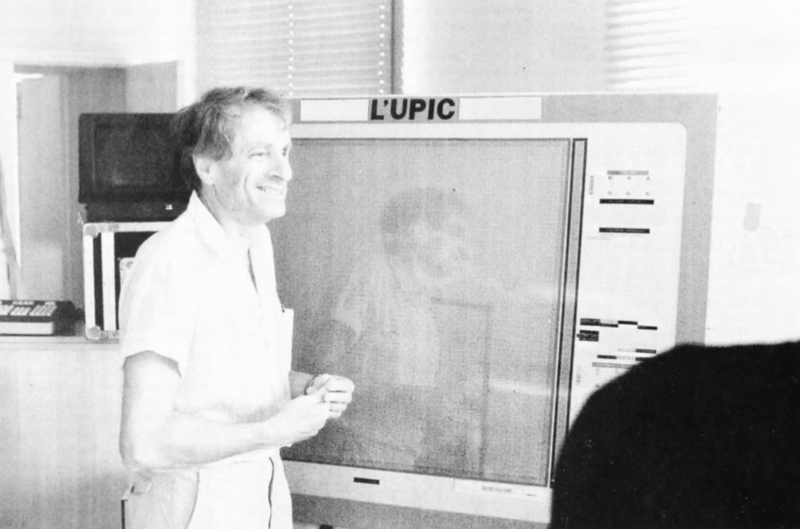 Xenakis in front of the UPIC system board. The UPIC was not the last effort of Xenakis in computer music research. During the Nineties the composer embarked on the design of a personal software called GENDYN, who implemented the Dynamic Stochastic Synthesis, a synthesis technique that uses stochastic processes for manipulate individual sound samples, as were elementary sound particles . In essence, Xenakis moved in the synthesis of sounds those stochastic processes that had already begun to use during the Fifties. With this particular technique realized two works of computer music: Gendy3 (1992) and S.709 (1994). 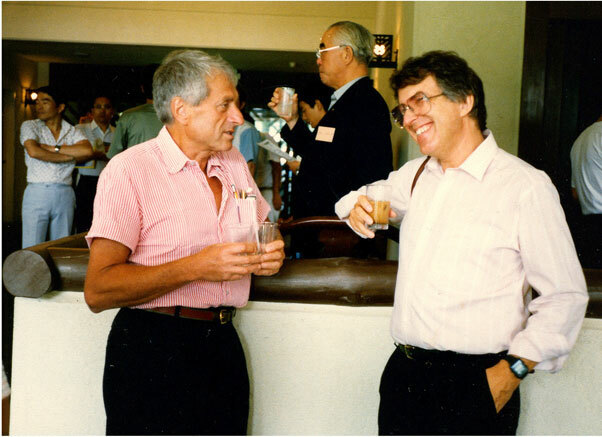 Xenakis with the American composer Roger Reynolds in 1992, on the occasion of a round table on the topic of computer music, held at Delphi in Greece. Taken together, these experiments show that the attention of Xenakis towards computer technology was not dictated by a momentary interest or a search path limited to a single compositional period, if anything, you takes a willingness to explore the different paths and opportunities from computer science, so as to enrich their compositional choices, his musical writing. It is natural to wonder what he could do today the Greek composer, in years in which the use of computer in music has grown exponentially to say the least, by virtue of technological progress that is under the eyes of all. Compared to what is happening today, we must not forget that the legacy of Xenakis was collected by Iannix software, a graphical sequencer open-source and free which is inspired by the experience of the UPIC, demonstrating that the work of the Greek composer is still alive.